If you give me information about yourself, usually an email address and a name, I will not use the information I collect through subscriptions or the contact form for anything except to send emails to you. I will not share these addresses with anyone else. Frankly, that’s a scummy thing to do, and I’m not like that! Cookies are small pieces of text sent by your web browser by a website you visit. A cookie file is stored in your web browser and allows the Service or a third-party to recognize you and make your next visit easier and the Service more useful to you. If you’re on the internet at all, you’ve got cookies on your computer, and on-line life would not be so easy without them! When you use and access the Service, I may place a number of cookie files in your web browser. These are cookies that are necessary to operate the Service. For example, a cookie detects if you are a hacker trying to crash the site so that it can block you. These types of cookies are legal without your permission and you cannot opt out of them. Yes, you need a cookie to show whether you accept cookies! ginger-cookie: Ginger Cookie is a plug-in that produces the pop-up for first-time visitors asking whether they agree to cookies. These cookies all help you share my posts [Please share my posts!] or help you follow me on social media [Please follow me!]. They also allow the company involved to collect user data to target advertising, etc. They are not necessary to use the Service. datr This domain is owned by Facebook, which is the world’s largest social networking service. As a third party host provider, it mostly collects data on the interests of users via widgets such as the ‘Like’ button found on many websites. This is used to serve targeted advertising to its users when logged into its services. In 2014 it also started serving up behaviourally targeted advertising on other websites, similar to most dedicated online marketing companies. This cookie identifies the browser connecting to Facebook. It is not directly tied to individual Facebook the user. Facebook reports that it is used to help with security and suspicious login activity, especially around detection of bots trying to access the service. Facebook also say the behavioural profile associated with each datr cookie is deleted after 10 days. This cookie is also read via Like and other Facebook buttons and tags placed on many different websites. auth_token This domain is owned by Twitter. The main business activity is: Social Networking Services. Where twitter acts as a third party host, it collects data through a range of plug-ins and integrations, that is primarily used for tracking and targeting. Twitter does not currently provide information on the use of specific cookies. APISID This domain is owned by Google Inc. Although Google is primarily known as a search engine, the company provides a diverse range of products and services. Its main source of revenue however is advertising. Google tracks users extensively both through its own products and sites, and the numerous technologies embedded into many millions of websites around the world. It uses the data gathered from most of these services to profile the interests of web users and sell advertising space to organisations based on such interest profiles as well as aligning adverts to the content on the pages where its customer’s adverts appear. SSID This domain is owned by Google Inc. Although Google is primarily known as a search engine, the company provides a diverse range of products and services. Its main source of revenue however is advertising. Google tracks users extensively both through its own products and sites, and the numerous technologies embedded into many millions of websites around the world. It uses the data gathered from most of these services to profile the interests of web users and sell advertising space to organisations based on such interest profiles as well as aligning adverts to the content on the pages where its customer’s adverts appear. lu This domain is owned by Facebook, which is the world’s largest social networking service. As a third party host provider, it mostly collects data on the interests of users via widgets such as the ‘Like’ button found on many websites. This is used to serve targeted advertising to its users when logged into its services. In 2014 it also started serving up behaviourally targeted advertising on other websites, similar to most dedicated online marketing companies. Used to manage the login process, remembers user on return visit if they choose to stay logged in. lang This domain is owned by Twitter. The main business activity is: Social Networking Services. Where twitter acts as a third party host, it collects data through a range of plug-ins and integrations, that is primarily used for tracking and targeting. Twitter does not currently provide information on the use of specific cookies. sc_anonymous_id This domain is owned by Soundcloud, a German company providing social sharing services centred around soundclips. The data that is collected through its services can be used for profiling and targeted advertising. twll This domain is owned by Twitter. The main business activity is: Social Networking Services. Where twitter acts as a third party host, it collects data through a range of plug-ins and integrations, that is primarily used for tracking and targeting. Twitter does not currently provide information on the use of specific cookies. UID This domain is owned by ScorecardResearch (comScore). The main business activity is: Advertising. The cookies in this domain have lifespans of 2 years. lang This domain is owned by Twitter. The main business activity is: Social Networking Services. Where twitter acts as a third party host, it collects data through a range of plug-ins and integrations, that is primarily used for tracking and targeting. GPS YouTube is a Google owned platform for hosting and sharing videos. YouTube collects user data through videos embedded in websites, which is aggregated with profile data from other Google services in order to display targeted advertising to web visitors across a broad range of their own and other websites. secure_session This domain is owned by Twitter. The main business activity is: Social Networking Services. Where twitter acts as a third party host, it collects data through a range of plug-ins and integrations, that is primarily used for tracking and targeting. Twitter does not currently provide information on the use of specific cookies. guest_id This domain is owned by Twitter. The main business activity is: Social Networking Services. Where twitter acts as a third party host, it collects data through a range of plug-ins and integrations, that is primarily used for tracking and targeting. Twitter does not currently provide information on the use of specific cookies. __utma This domain is owned by Twitter. The main business activity is: Social Networking Services. Where twitter acts as a third party host, it collects data through a range of plug-ins and integrations, that is primarily used for tracking and targeting. LOGIN_INFO YouTube is a Google owned platform for hosting and sharing videos. YouTube collects user data through videos embedded in websites, which is aggregated with profile data from other Google services in order to display targeted advertising to web visitors across a broad range of their own and other websites. SID This domain is owned by Google Inc. Although Google is primarily known as a search engine, the company provides a diverse range of products and services. Its main source of revenue however is advertising. Google tracks users extensively both through its own products and sites, and the numerous technologies embedded into many millions of websites around the world. It uses the data gathered from most of these services to profile the interests of web users and sell advertising space to organisations based on such interest profiles as well as aligning adverts to the content on the pages where its customer’s adverts appear. This cookie is used by Google in combination with HSID to verify a Google user account and most recent login time. SAPISID This domain is owned by Google Inc. Although Google is primarily known as a search engine, the company provides a diverse range of products and services. Its main source of revenue however is advertising. Google tracks users extensively both through its own products and sites, and the numerous technologies embedded into many millions of websites around the world. It uses the data gathered from most of these services to profile the interests of web users and sell advertising space to organisations based on such interest profiles as well as aligning adverts to the content on the pages where its customer’s adverts appear. remember_checked This domain is owned by Twitter. The main business activity is: Social Networking Services. Where twitter acts as a third party host, it collects data through a range of plug-ins and integrations, that is primarily used for tracking and targeting. Twitter does not currently provide information on the use of specific cookies. remember_checked_on This domain is owned by Twitter. The main business activity is: Social Networking Services. Where twitter acts as a third party host, it collects data through a range of plug-ins and integrations, that is primarily used for tracking and targeting. UIDR This domain is owned by ScorecardResearch (comScore). The main business activity is: Advertising. The cookies in this domain have lifespans of 2 years. These help me to know more about you, but not in a creepy stalkerish kind of way! I can, for example, use Google Analytics to analyse who comes to the Service: where in the world my readers live, what pages they visit most often, how long they stay on average, etc. This is all aggregated data, so it won’t tell me anything about you individually. Look at my media kit and you’ll see some of that aggregated data. _ga This cookie name is associated with Google Universal Analytics – which is a significant update to Google’s more commonly used analytics service. This cookie is used to distinguish unique users by assigning a randomly generated number as a client identifier. It is included in each page request in a site and used to calculate visitor, session and campaign data for the sites analytics reports. By default it is set to expire after 2 years, although this is customisable by website owners. 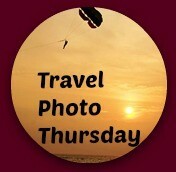 InLinkz is the site that allows me to take part in the Travel Photo Thursday blog post share. Jetpack is a plugin on my website. I get statistics through it and various other website functions. Here’s another tip: if you want to visit a particular website anonymously, but not to delete all cookies for all websites, use incognito mode. In Google chrome, you can get there by pressing shift+control+n. Please note, however, that if you delete cookies or refuse to accept them, you might not be able to use all of the features the Service offers, you may not be able to store your preferences, and some of the pages might not display properly.